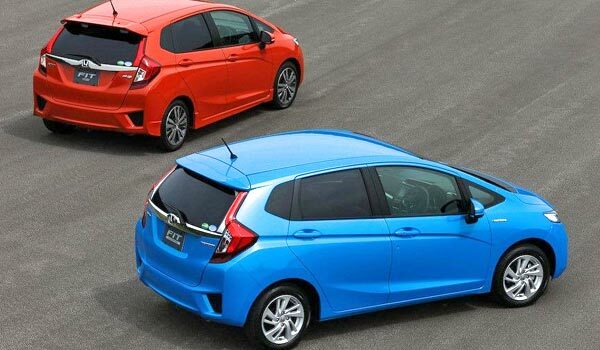 New Honda Fit 2014 - Lateral view. 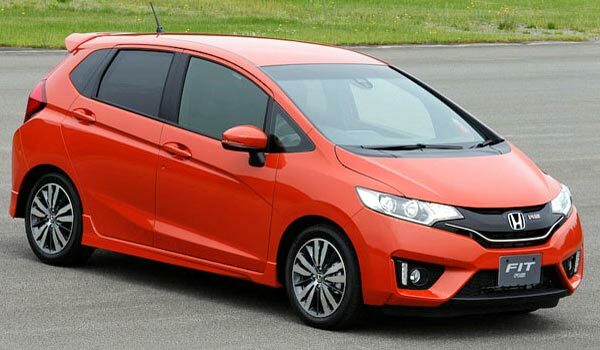 New Honda Fit 2014 - Front view. The Asian company has stated that on its third generation the car comes loaded with cutting edge technology that is going to be reflected in its low fuel consumption. 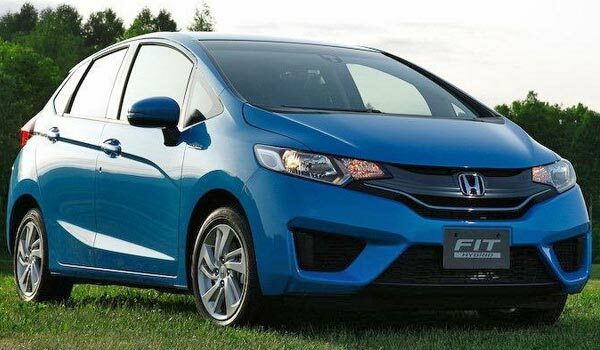 The Honda Motor Co. President, Takanobu Ito, called the redesigned Honda Fit as the advance "most important of the year" and predicted a greater sales increase in North American. It is the third generation of the small car, which is crucial for the U.S. expansion plan. New Honda Fit 2014 EV / Electric Front Bottom View. 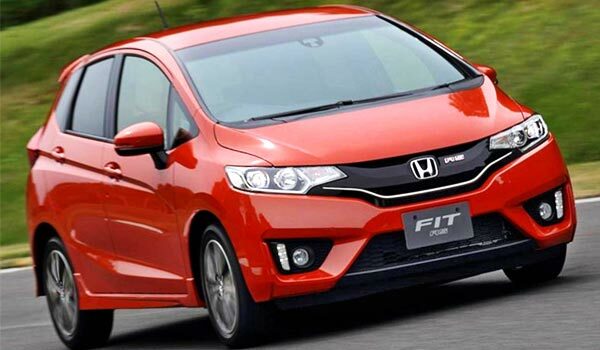 The Honda Fit has a longer body, very similar in the front to the Honda Civic, and a larger interior than its predecessor, which has not yet been presented to the press in the United States. The Fit 2-14 will be the first vehicle showcasing the newest and most elegant of the Honda brand, with the language design "Creasier", nicknamed 'Exciting Design H'. 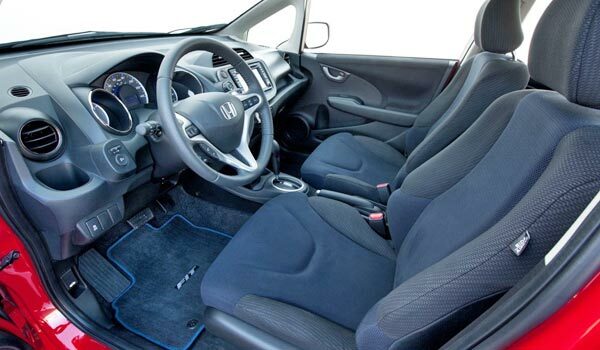 New Honda Fit 2014 - Interior view. Its hybrid variant is the first with the new dual clutch Honda engine of gasoline and electricity transmission. This one replaces the system of an underpowered engine that delivered what many considered "lackluster fuel consumption" in previous hybrids like the Insight. The energy efficiency of the new Fit will be a big selling point. The U.S. version will be the first Fit manufactured in North America. Moreover, the adjustment of third generation is the first car that comes from the global development strategy of vehicle revised by Takanobu Ito. Grey color - Rear view. Speaking at the launch of the Fit in Japan, Ito refused to give a sales goal for North America. But he said that the market has the greatest growth potential for the Fit hatchback and its family of spin-offs, which is expected to include an SUV and a sedan. Honda aims high for this side of the planet, as besides all the investment in its new models, is also building an assembly plant in Mexico with an annual production capacity of 200,000 vehicles. The factory will open the coming spring, and it is expected that most of this production is for family vehicles like the Fit, aimed at the U.S. market. 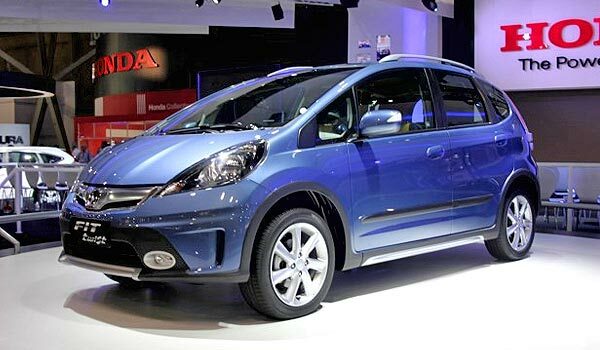 The Honda Fit is also known in other markets like the Honda Jazz. The 2014 Honda Fit EV or electric has an estimated starting price of $36,625. The Fit EV has an efficient of 118 MPGe (miles per gallon gasoline equivalent), making it one of the most efficient cars on the country. The 2014 model shows a design with some influences of the Honda Insight 2012, with angular headlights and a large front bumper. The hybrid version comes with a choice of three driving modes: EV, hybrid and fuel only, which means it can operates as a zero-emissions electric car, a hybrid or a conventional fuel engine vehicle. Among the most interesting changes of this new generation is the interior which comes much more equipped, with a modern infotainment system controlled by a touch screen, by which you will also be to control the air conditioning. The Fit's cabin is spacious and comfortable per se, and the designers of the 2014 model improved it even more and made it with a better distribution of space and a load capacity much larger than previous versions. 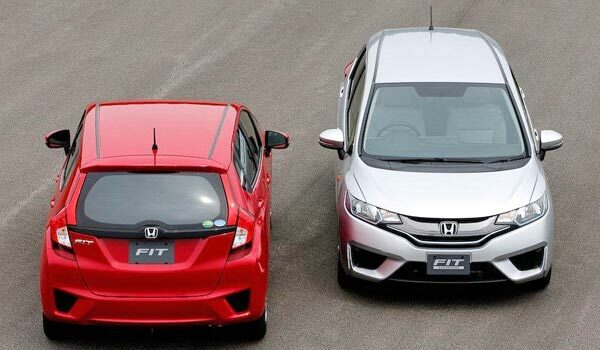 Currently, Honda has sold more than 4 million units of the Fit since its launch in 2001, and has become one of the most important models for the Japanese manufacturer. 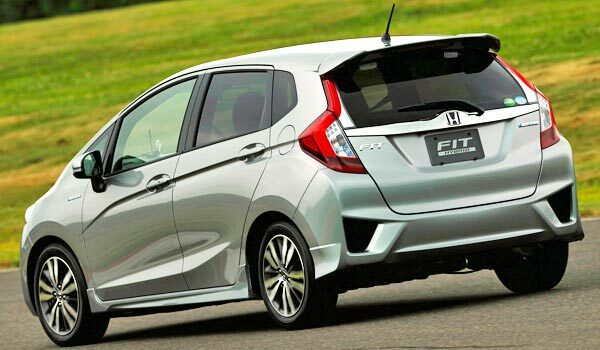 The new Honda Fit Hybrid 2014 will be in charge of using the for first time the 'Sport Hybrid Intelligent Dual Clutch Drive' (i-DCD), the new hybrid system of the Japanese brand.